Hsyndicate, the Hospitality Syndicate, is the hospitality industry's leading electronic media-hub with up-to-date industry news and online advertising services. This partnership extends the depth and uniqueness of SnapShot's data platform by providing current and breaking industry news and intelligence to over 6,000 independent and branded hotels and their users. 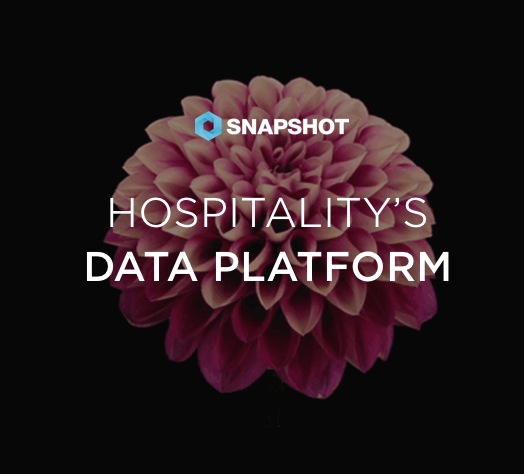 Through this partnership, SnapShot analytics solutions users are able to access all HospitalityNet articles and press releases directly through their Analytics or AnalyticsPro subscriptions. SnapShot AnalyticsPro is a fully inclusive solution that eliminates the need for multiple programs and technologies through its powerful data dashboard. With the addition of the Hsyndicate news feed in the dashboard, users will be able to make even more informed strategic decisions with their hotel data. "The new alliance with SnapShot represents a highly valuable new addition to our global content network, connecting Hsyndicate's platform to thousands of hoteliers on a global scale," said Henri Roelings, CEO of Hsyndicate. Part of the content delivery platform is powered by Pineapplesearch.com, a B2B specific search-engine for hospitality professionals built by non-profit association HFTP and Hsyndicate. Frank Wolfe, CEO of HFTP, said, "This is our first joint implementation of the Pineapplesearch.com API; a true milestone in the further development as a valuable non-profit initiative for the good of the hospitality industry". Carson Booth, CEO of SnapShot, said, "We are thrilled to announce this partnership with Hsyndicate because not only are we working with the industry's leading news source, but we are reaffirming our commitment to our users to provide the best technology solutions and rapidly respond to their needs." With an exclusive focus on global hospitality and tourism, Hsyndicate.org (the Hospitality Syndicate) serves the industry as a leading electronic media-hub, providing electronic news syndication and online advertising services for hundreds of organizations within the global hospitality vertical. Hsyndicate helps its members to reach highly targeted audience-segments in the exploding new-media landscape within hospitality... channels of ever increasing importance which are difficult to reach through classic wire services like PRnewswire or BusinessWire. Find out more about Hsyndicate at www.hsyndicate.org.